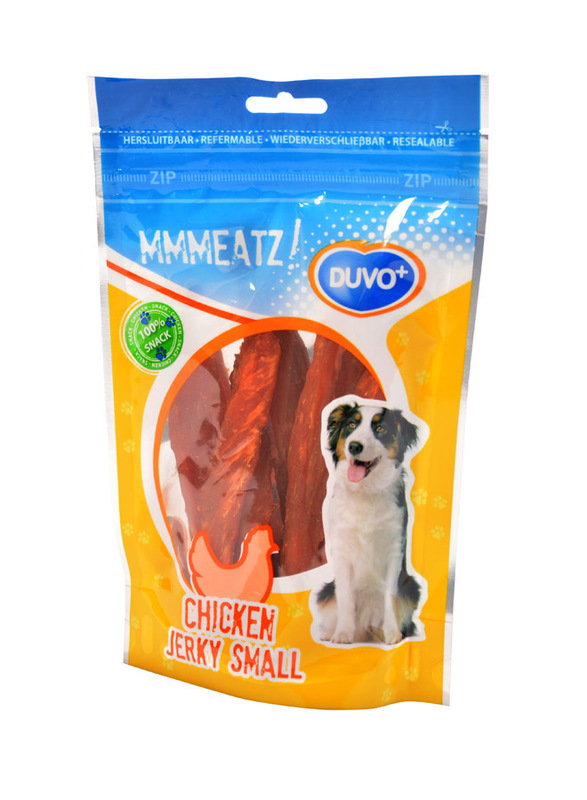 The Duvo+ Mmmeatz Chicken Jerky snack is a 100% natural and healthy chicken snack for dogs. The snack is very delicious and easily digestible for your dog. The nice fillets give your sweet pet a special taste experience. The Chicken jerky also has a handy reusable packaging.